Some questions about the LED driver IC and LED display imaging - Shenzhen Verypixel Optoelectronics Co., Ltd.
1. How to control the LED current while using the LED drivers IC? Customers only need one external resistor for each LED drivers to control the current of all output channels. Pin #15 is for 8-bit LED driver to connect the R-ext, while it is pin #23 for 16-bit LED driver. 2. Is there any difficulty in using Marcoblock's LED drivers if customer's original design is for constant voltage LED drivers? Compared to the voltage mode LED driver, MBI's LED driver provides constant current, and controls the LED current easily. 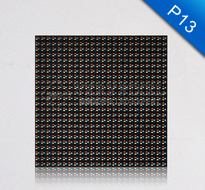 Customers are encouraged to use 8-bit or 16 bit LED drivers for easy manufacturing and lower cost. Customers need to re-wire the PCB board while changing from the constant voltage mode LED driver. Customers may consult with MBI's FAE team if customers have any difficulty in designing the PCB board. 3. Is there any difficulty in using Macroblock's LED drivers if customer's original design is for Toshiba's LED drivers? Macroblock's LED drivers are fully pin and pitch compatible with Toshiba's 8-bit(TB62705CFN/CP) and 16-bit(TB62706BN/BF). There is no need for PCB modifications. Customers can use the LED drivers very easily. Only external resistors may need to be changed. 4. What are the unique characteristics of Macroblock's 8 bit and 16 bit LED drivers? Considering the current-mode control characteristics of LEDs, Macroblock's 8-bit and 16-bit LED drivers provide customers with stable and uniform constant current. Through these drivers, LEDs are driven with the best performance and lifetime. 5. What are the main characteristics of Macroblock's LED drivers? 6. Does Marcoblock's LED drivers pass the reliability test? MBI LED Drivers process severe quality control tests.